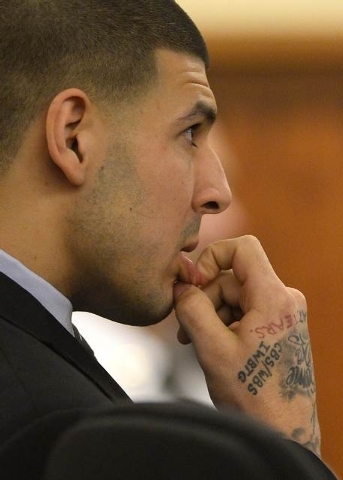 A former friend of Aaron Hernandez testified on Wednesday that he saw the ex-New England Patriots player handle a gun similar to the one prosecutors contend he used to murder an acquaintance, and that Hernandez had a distrustful nature. 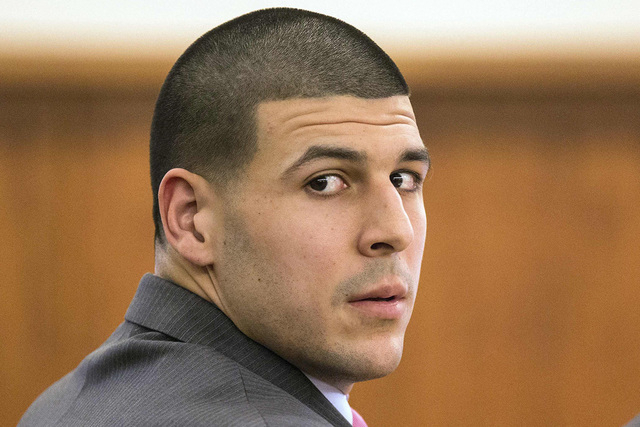 BOSTON — A former friend of Aaron Hernandez testified on Wednesday that he saw the ex-New England Patriots player handle a gun similar to the one prosecutors contend he used to murder an acquaintance, and that Hernandez had a distrustful nature. 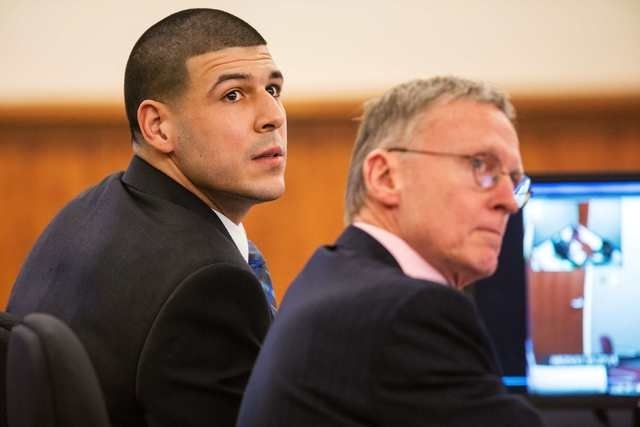 Alexander Bradley, who had been friends with the former tight end, was permitted to tell jurors that Hernandez had access to the type of pistol he is accused of using to murder semipro football player Odin Lloyd, but not about a separate 2013 incident in which Bradley contends Hernandez shot him in the face. 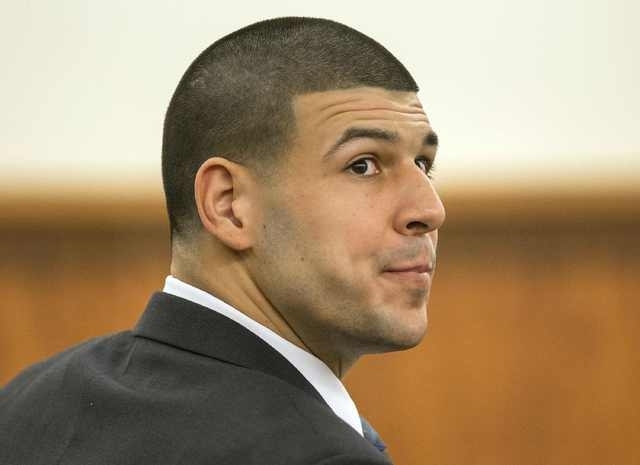 Hernandez, 25, is charged with killing Lloyd, who was dating his fiancee’s sister. Lloyd was found shot dead in June 2013 in an industrial park near Hernandez’s home in North Attleborough, Massachusetts. 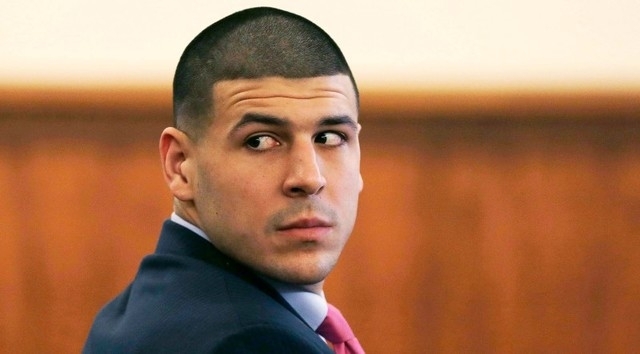 Bradley, who has sued Hernandez over the February 2013 shooting, testified he saw someone handing Hernandez a black Glock pistol in a Florida hotel. The murder weapon in the case has not been recovered, but prosecutors have said it was a black Glock pistol. “Mr. Hernandez held it, looked at it, and that was pretty much it,” said Bradley, adding that Hernandez put the gun on a chair when the two left the hotel room. Bradley testified he was Hernandez’s marijuana dealer before they became friends, and described him as a “chain smoker” who bought the drug in quantities of up to 4 ounces (113 grams) at a time. Bradley charged in a civil lawsuit last year that Hernandez shot him in the face, causing him to lose his right eye. Bradley never filed a criminal complaint. Prosecutors contended that incident is relevant to the Lloyd murder since it shows that Hernandez had no trouble shooting his friends. 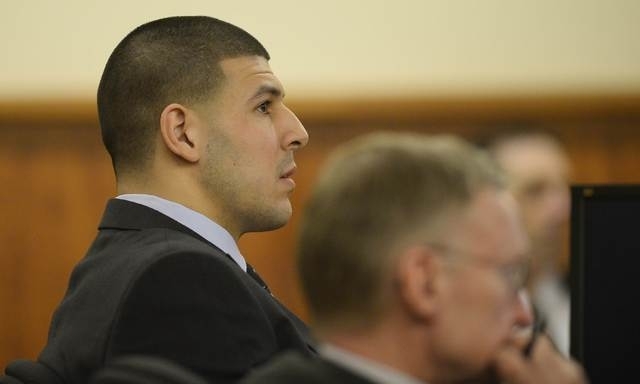 The defense has argued that Hernandez would not have killed Lloyd because of their friendship. Bradley testified that Hernandez told him he had a hard time trusting people and believed that some of his friends were ungrateful. “He also indicated to you that he didn’t like people knowing his business. Is that true?,” asked Assistant District Attorney William McCauley. Hernandez’s lawyers challenged Bradley’s credibility, presenting a court record in which Bradley was quoted as telling a grand jury he never sold marijuana to Hernandez. Bradley denied saying that.